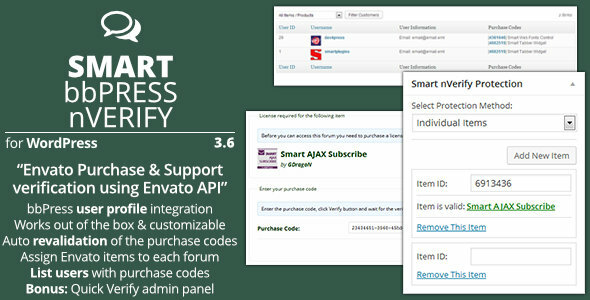 To see this plugin in action, you can check out SMARTPlugins Support website where it is used. Just try to access and forum under jQuery or WordPress, and you will see the notice about the need to have the valid license to access. To see how the plugin looks like on the admin side, check out the plugin page on the CodeCanyon, or check out the screenshots page. Links to home page and screenshots are available above this text under the plugin preview image.